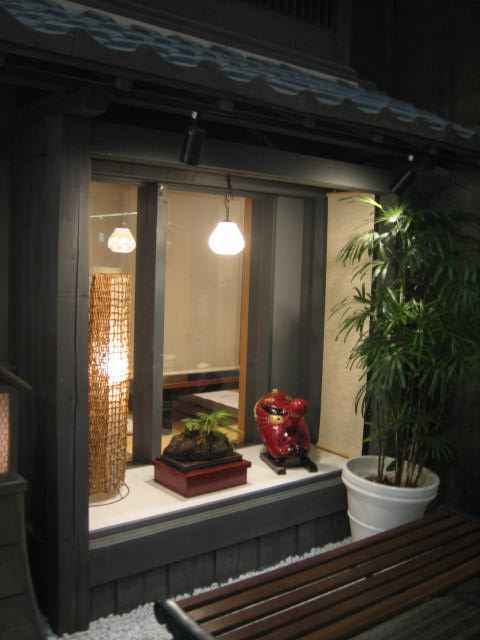 This blog is about Miko's family, living near Mt.Fuji. 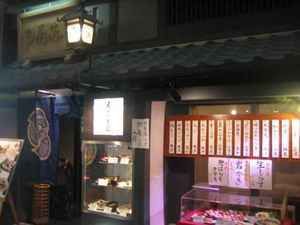 You'll get information about cool japanese cultuer,daily life and more. English,Japanese,French,German and Chinese. I told you that I went to East side Shizuoka on the last topic. 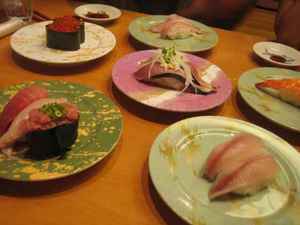 we dropped by Shimizu city to eat Sushi before go to see Gundam. There has the big port for a long time in Shimizu, and it is famous as the town that a fresh fish can eat. 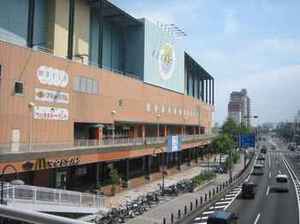 and, this town is known as Shimizu S-PULES a professional soccer league in Japan its J-league. In addition, there is a stage of the story of cartoon "Chibimaruko" that was born 30 years ago. 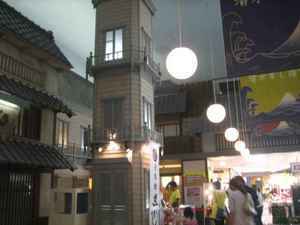 It is the big shopping mall,there is a goods shop of Shimizu S-PLUSE and Chibimaruko's museum. 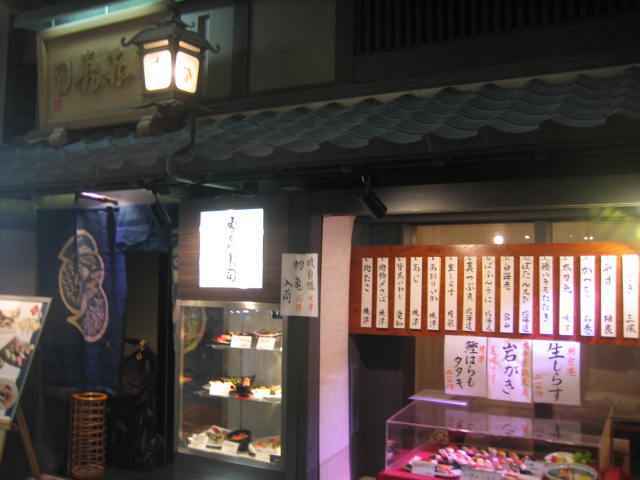 We went in ''Sushi Yokocho'' in which a lot of sushi shops place eaves in a line. It becomes like the stage set where a part of the mall reproduced an old town of Shimizu, and there are ten sushi restaurants. 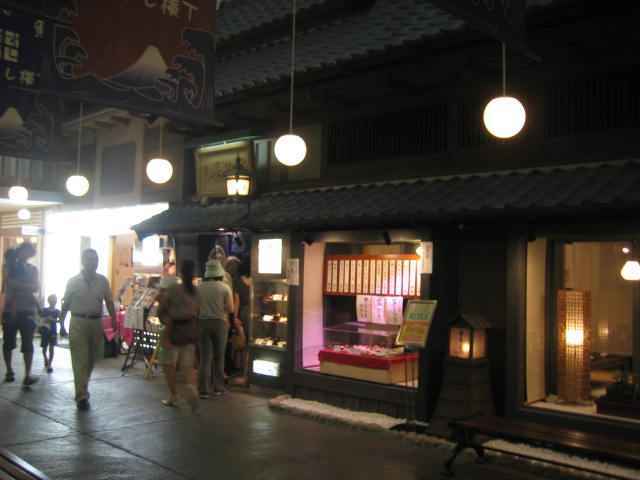 We can enjoy choosing which restaurant to go in and feeling time escape to old town. I introduced about ''Kaiten Sushi'' before. check it old my blog if you don't remember. 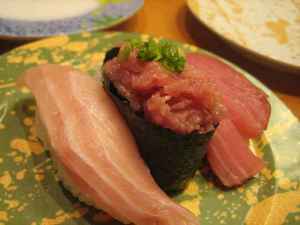 As for the Kaiten sushi of Japan, even a delicious restaurants that sells a fresh of fishes and local where a handy price of 100 yen a plate is offered is various. 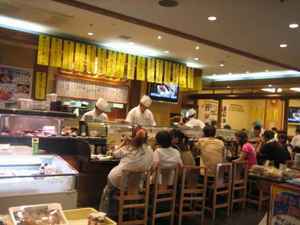 usually, you pick up a plate that passes in the presence,but you can order to chef the menu whenever you want at the Kaiten Sushi. We don't want to go to high quality Sushi restaurant with children,but sometimes not to worry about the purse and to eat delicious Sushi with family, so Kaiten sushi that sells a delicious fish in local such is nice to us. 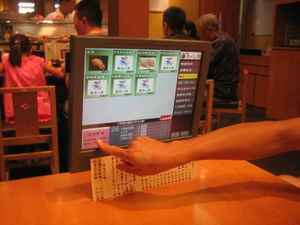 WOW we didn't know it use PC touch panel when we order the Sushi. Sushi restaurants are high technology recently..
but we are not agree with this PC touch panel order system because seems not delicious. How about you? is that good? or not? Especially, it is one plate of the picture above that I loved. "Maguro " so delicious. I had such a wonderful weekend!!! i wonder how this sit is made? what was from the beginning? japanese version and then translated to other languages? 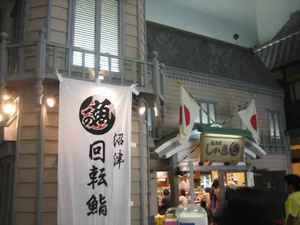 for example: "There has the big port for a long time in Shimizu, and it is famous as the town that a fresh fish can eat. " hope you will visit my blog again!!!! To Anton: Indeed, if you read in the literal sense, y'r right. Obviously, Miko is japanese, and write in multiple languages, it's an opportunity to understand the structure of Japanese sentences. And a proof of authenticity, this blog is not a 'travel book' written by a tourist like many others. This weblog seems to get a great deal of visitors. How do you promote it? It offers a nice unique spin on things. I guess having something authentic or substantial to say is the most important thing. Let's learn many foreign languages on the Miko Blog! You can check two languages at the same time is HERE! This page contains a single entry by miko published on September 26, 2010 8:57 AM. Gundam shows up in Shizuoka was the previous entry in this blog. Shakuhachi and the full moon is the next entry in this blog.